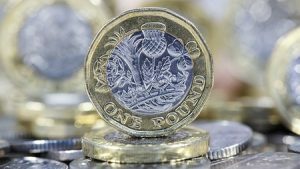 The pound has fallen sharply following data suggesting a sluggish economy. Manufacturing output fell 1.4% in April, the biggest fall for nearly six years, according to the Office for National Statistics (ONS). Another ONS report showed only a modest rebound in construction output, after a sharp contraction in March. The pound fell three quarters of a cent after the data was released to $1.3350. Analysts say the data has eased pressure for a rise interest rates. “This data could fuel Bank of England concerns and uncertainties over the economy and there can be very little doubt that the Monetary Policy Committee (MPC) will leave interest rates unchanged at their June meeting next week,” said Howard Archer, chief economic advisor to the EY ITEM Club. “The data also makes an August interest rate hike by the Bank of England look a lot more questionable,” he added. Are Wills the latest Banking Scandal? previous post: Think Inheritance Tax Only Affects Other People? Think Again!